A beautiful pair of honey hive harem pants with thick elastic waist elastic waist. 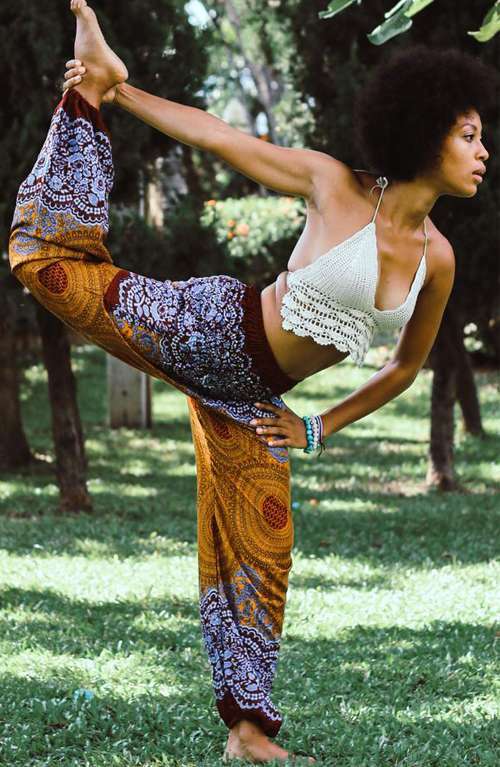 These popular boho harem pants are great for exercises like yoga or kickboxing. 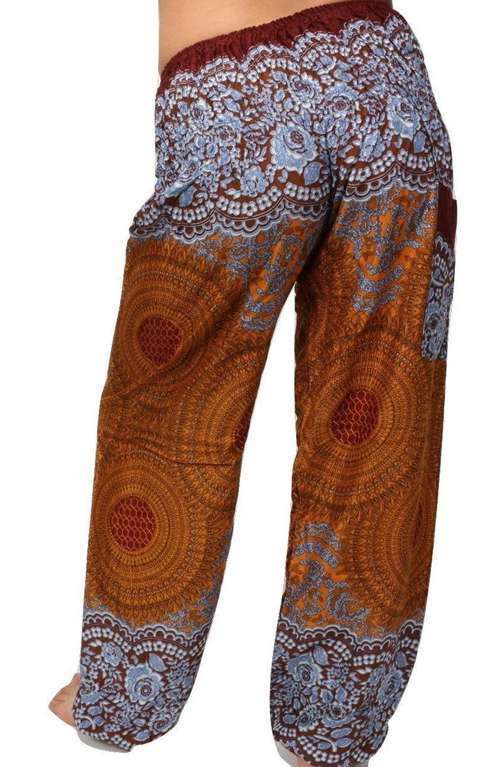 The hippie pants can also be just a comfy pair of pants to wear around the house on the lazy days. 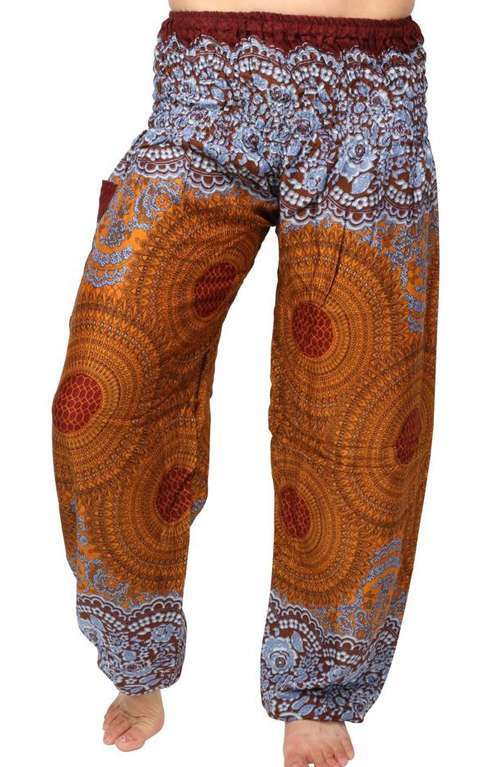 These bohemian pants have are a pumpkin color with a honey hive design. They have a thick elastic waist and elastic around the ankles.